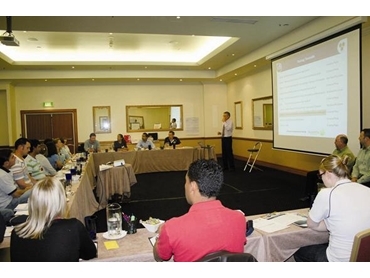 The Australian Institute of Packaging (AIP) is introducing a new half–day training course on Advanced Plastic Packaging. The first course is being held on Thursday the 8th of September at the Viewpoint Centre, St Kilda, Victoria, and will follow an Introduction to Plastics half-day training course that will be held in the morning at the same venue. Given that hundreds of identified ‘species’ of synthetic polymers are available in a range of molecular masses with most being influenced by processing conditions, choice in plastics in almost limitless. Polymer science is the subfield of materials science concerned with polymers, primarily synthetic polymers such as plastics. The three main sub-disciplines of polymer science include polymer chemistry, polymer physics and polymer characterisation. Polymer chemistry or macromolecular chemistry is concerned with the chemical synthesis and chemical properties of polymers while polymer physics is the study of bulk properties of polymer materials and engineering applications. Polymer characterisation is based on the analysis of chemical structure and morphology as well as the determination of physical properties in relation to compositional and structural parameters. The half-day training course on Advanced Plastic Packaging is designed for attendees of the ‘Introduction to Plastics’ course, or those who have spent a number of years in the plastics industry.